Before I took up my post as IRC president in September 2013, I wanted to get a sense of the conditions facing refugees and displaced people around the world and the work of the organization to address their needs. I had read about tens of millions of people displaced by war and persecution, but what were their lives really like? It turned out that there was a jarring mismatch between some of the assumptions that I brought into the job and the realities of the situation on the ground. I went to Jordan in May 2013 and Kenya in July of that year. Each country was hosting around 600,000 registered refugees, and in Jordan the government said there were an equal number unregistered. I had in my mind the iconic image of a refugee: someone in a refugee camp, standing behind wire. In Jordan I was taken to the Za’atari refugee camp, then home to 120,000 people. At the time it was in a state of some chaos. The camp management was worried about building plans gone awry, criminal networks running amok, and lack of coordination in health care and education services. But the real eye-opener was not in the camp; it was in the town of Mafraq, 20 kilometers (13 miles) away from Za’atari. In 2011, Mafraq had had 120,000 residents. With the arrival of Syrian refugees, the population had doubled in the space of a few months. Everything was overflowing with people, from streets to schools to shops. My first visit to the back room of the IRC health center in Mafraq is etched on my memory. It was next door to a room used for child care. The corridors of the center were dominated by the hubbub of patients waiting to see doctors. The majority of people, most of them sitting on chairs, were mothers with children. Above their heads were notices explaining the importance of hand washing and some posters from the US and UK governments, which were funding the center. In the back, the atmosphere was different. There were thirty women and girls in a bare room, sitting on the floor with their backs to the walls. There were a couple of tables with water and tissues. By word of mouth they had found out that this was a space where women could come together safely and talk, cry, plan, and even dream. All present wore head scarves, usually solid colors, often bright pink, orange, or blue but sometimes black. It was hot, and I noticed that some women, despite the heat, were wearing thick robes, almost drapery-weight material, which presumably had come with them from Syria. Some averted their eyes from me. Others were intrigued. The only time they smiled was when I asked if they thought they would ever go home to Syria. “Inshallah” (God willing), they said in unison. They talked about how there were school places for some of the girls, but they would not let them go because they were scared that they would not be safe on the route. They said they were running down their savings to pay the rent. They explained that their husbands and sons worked in the informal economy, dodging the Jordanian authorities. They talked about the houses, relatives, and lives they had left behind. This matters because the needs of people in urban areas are different from those in camps. Shelter is not given to them. Food is not distributed to them. Education, health care, and other systems of support need to be designed to fit in with the local community. The assumption that the majority of refugees live in camps as opposed to urban areas is not the only mismatch between perception and reality. When I began my work at the IRC, I had assumed that most refugees and displaced people were homeless for a few years and then went home. Then I started talking to refugees. The camp was built in 1992–3 as a temporary shelter for Somalis seeking safety in the face of the terrible civil war ravaging their country. More than twenty years later, I met Silo, a young woman living in the camp. She lived in a relatively peaceful area of the camp. Her home was fenced in by strips of thorny wood. (A book about Dadaab by Ben Rawlence is entitled City of Thorns because of the prevalence of the brush.) Silo’s dwelling was a round structure only a few meters in diameter. It was made of wood, tenting, rags, cardboard. The tin door appeared to have been made from reused food containers. She had two children, one of whom wore a much-used red T-shirt with OBAMA printed on it in black letters. The real surprise came when I asked her whether she thought she would ever go home to Somalia. “What do you mean, go home?” she replied. “I was born here.” When I followed up with the camp management, they told me that of the 330,000 Somalis then living in the camp, 100,000 had been born there. I shouldn’t have been shocked. When I visited a Burmese refugee camp in the Mae Sot district of Thailand, I met the camp committee, Burmese refugees who helped represent the residents to management. The secretary was a very articulate man in his early thirties. He was smartly turned out, educated, efficient. When I asked whether he could conceive of ever going back to Burma (Myanmar), he patiently explained that he had never lived in the country because his parents had fled to the camp in Thailand before he was born. The Lebanese civil war lasted fifteen years, from 1975 to 1990, but in the end the warring parties agreed to share power rather than fight over it. The wars in Sierra Leone, Liberia, and East Timor have ended, in some cases with extensive outside intervention. But the evidence is that the bloodletting of war poisons the prospects for and stability of peace. If you look at Afghanistan, where civil war has dominated for most of the last forty years, you can see the danger. Somalia and DRC have also seen civil wars stretch across generations. This matters because if people are displaced from their homes for ten years rather than just ten weeks or ten months, their needs change. Their kids will be desperate for education. They themselves will need work. The countries supporting them will need more help. You might guess from the Western media—British coverage of the so-called jungle refugee settlement in Calais, France, or American reporting of the debate about Syrian refugee entry into the United States—that most refugees are in Western countries. That is wrong. Badly wrong. Another assumption comes face-to-face with reality. When you stop and think, it stands to reason that most refugees are not in the West. The large majority of them stop in a country neighboring the one from which they fled. In addition to more than 5 million Palestinians, around 13.5 million refugees (nearly 80 percent) come from ten countries far from the Western world: Syria, Afghanistan, South Sudan, Somalia, Sudan, DRC, Central African Republic, Myanmar, Eritrea, and Burundi. There are also 40 million internally displaced people (IDPs) as a result of conflict or persecution. Last year one new IDP was created every second.9 Nicholas Burns, formerly undersecretary in the US State Department, calls those people “On the Runs,” to try to get away from the bureaucratese of terms such as IDP. These people remain within their home country but have fled from their homes because of conflict or persecution. The vast majority, like refugees, are nowhere near rich countries. Since so many displaced people are homeless for a long time, live in urban areas, not camps, and are concentrated in countries that are poor or middle income, there is a fourth challenge to the prevailing assumptions. Though it is traditional to see the drive against poverty, so-called development, as separate from the humanitarian work of responding to crisis, the reality is that today’s refugees and displaced people are the new global poor. Laurence Chandy and his research colleagues at the Brookings Institution have catalogued the extraordinary reductions in extreme poverty over the past twenty-five years. According to the World Bank, extreme poverty is now defined as an income of less than $1.90 a day.10 The proportion of people in extreme poverty was reduced from 55 percent in 1950 to one in ten in 2013 (the most recent year with good data).11 That is still over 750 million people—a scar in a world more than fifty times as rich as in the 1950s.12 But rapid progress nonetheless. The composition of this poverty, however, has shifted significantly toward countries affected by conflict. Economic growth, albeit unequally distributed, is reducing poverty in states where there is peace. Think of China and India, where hundreds of millions of people have been taken out of extreme poverty in the last thirty years and a middle class, also of hundreds of millions, has been built. So the “refugee crisis” has the following components: record numbers of people are fleeing violence; they are displaced for longer than ever before; they are concentrated in a small number of countries outside the wealthy parts of the world; and they make up a growing proportion of the world’s poor. There is one additional factor: climate change is not just a looming danger; it is part of today’s equation. In 2006, I was called to see the prime minister. He was reshuffling his government and wanted to promote me. So far, so good. I went to his small study next to the Cabinet Room. We sat in armchairs, and one star of the Downing Street staff, an Irish woman named Vera who had seen it all and was not shy about offering advice, brought in cups of tea. As usual Tony Blair was friendly and purposeful: “I want you to be Secretary of State for Environment, Food, and Rural Affairs.” That hadn’t been part of my plan. “But I don’t know one end of a cow from another!” is all I can remember saying. He thought I could learn. More important, there was a responsibility to turn our words on climate change into policy. On that he was right. Four months later, we published in draft form the world’s first long-term, legally binding emission reduction requirements. They required the United Kingdom to achieve 60 percent cuts in carbon and other emissions by 2050—later amended to 80 percent—and set into place the institutional machinery to monitor and enforce the requirement. It is the piece of legislation of which I am most proud. I am not a scientist, but I know that if 97 percent of doctors told me I was at risk of a heart attack, I would go into hospital for a bypass. That is what I feel about climate change. The vast majority of scientists have agreed and explained, over and over again, why and how the burning of carbon is contributing to man-made change in the climate and demonstrated the data to show this is happening. The second-round effects, such as ocean acidification, only add to the dangers. The reckless, feckless, ignorant irresponsibility of those who deny the facts or don’t care about them is grotesque. In legal terms, the definition of refugees in international law does not cover people who cross borders because of climate change. Also, displacement experts such as Elizabeth Ferris make the point that climate is likely to be one factor among several contributing to decisions to move.17 Yet when I talk to some of the people displaced in Africa, they tell me that climate change is happening and that it is affecting their lives now. Abdullahi Mohammed is the Ethiopian farmer who told me that the IRC’s water project had given him and his community life. I met him on the bare, hot land in the east of the country. Dressed in a T-shirt, checked shirt, and multicolored robe, he carried a walking stick and had a limp. At forty-nine, younger than me, he looked closer to sixty. He told me he had had nine children, three of whom had died. Abdullahi Mohammed was the chairman of the local committee that would manage the water system built by the IRC staff. It was important that there be some charge for the water, to ensure that people did not waste it and to pay for the upkeep of the system. He told me that he had learned from his grandfather about the conditions on the land and that his land was changing—becoming hotter and drier. Before the water project, he explained, he and his cattle had been forced to travel twelve hours for water. Life was becoming more and more fragile, making a livelihood an increasingly difficult struggle. The potential for long-term drying trends, rising sea levels, and glacier melt (with the impact on river flow) to affect human movements is clear. But there is not good data on how long-term changes in, for example, the reduced fertility of land because of drought have affected the movement of people. What we do know is that the changing climate is not just a matter of higher temperatures; it is also a matter of more extreme weather events. And we do have evidence of the impact of those. In 2016, more than 24 million people were internally displaced due to natural disasters.18 Eighty-six percent were the result of weather-related hazards: floods, storms, fires. The rest were geophysical (for example, earthquakes). Not all of those disasters can be pinned at the door of climate change. But given the compelling science about the danger of more extreme weather events, the potential for their impact on displacement is clear. A recent briefing for the G20 (the group of the twenty richest economies) concluded that conflict can be induced or aggravated by climate change.21 That makes sense. So although there might not (yet) be groups of people who can be labeled “climate refugees,” there is likely to be increased pressure on population movements by changes in the climate. The faulty assumptions about refugees, however mistaken, come from somewhere real. They reflect another world: that of Europe after the Second World War, when the laws and practices underpinning the current humanitarian system were established. It was clear that the world had to establish rights for civilians who had been caught up in the war. That effort began with the 1948 Universal Declaration of Human Rights, which recognized the right of people to seek asylum from persecution. In 1951, the UN Refugee Convention was ratified, creating a legal definition of a refugee, and a high commission (United Nations High Commission for Refugees) was established to care for them. The convention defined a refugee as someone who is outside his or her country of nationality due to a “well-founded fear of being persecuted for reasons of race, religion, nationality, membership of a particular social group or political opinion.”23 With refugee status came rights, above all the right not to be forced to return to a country in which there is risk of serious harm (so-called nonrefoulement), and also minimum standards of treatment, such as access to the courts and primary education. Adjudication of refugee status would be determined by the UNHCR or a responsible state. Court judgments and UNHCR practice have broadened the definition over the years. The key point is that refugees are people who cannot safely go home. Built into the definition of a refugee in the UN convention is another tension between perception and reality, concerning the relationships between refugees and economic migrants. Economic migrants are people who choose to move to improve their standard of living. But in many quarters, the distinction between forced and voluntary displacement, political versus economic, is unclear. In addition to the 65 million forcibly displaced (refugees, asylum seekers, and internally displaced people), 220 million people have left their home country seeking, among other things, economic improvement; 750 million people are on the move within their own country for predominantly economic reasons.26 The truth is that the dividing line between political and economic reasons for migration is blurred. When I went to Lesvos, Greece, in 2015 and drove to the north of the island to meet people arriving across the Aegean Sea from Turkey, there was a steady stream of people walking in the opposite direction, toward the UNHCR reception center 40 kilometers (25 miles) away. Many were Syrian. Some were Afghan. I also met young Moroccans and Algerians, whose motive, they told me, was fundamentally economic. And then there are people who start as economic migrants but who are robbed, beaten, even enslaved, adding complexity to the adjudication of their status. “Mixed migration,” a category that includes some who are fleeing for economic reasons and some for political reasons, is a feature of the modern world. It is also the case that war, poverty, and climate change can come together to propel people to flee. So the distinction between the people who are forced across borders and those who choose to cross them is not as neat and tidy as the framers of the original refugee convention might have hoped. Nonetheless, I think it is important to try to maintain the distinctive status of refugees. The rights of refugees are founded on the idea that they are in a different position from people who choose to emigrate. The family bombed from their home in Aleppo, the girls facing violence for seeking education in northeast Nigeria, the religious minority persecuted for their beliefs, the political dissident in fear of his or her life face a different set of incentives from the student seeking better economic opportunity or the family opting to join cousins in a new country to improve their life chances. They should have greater rights and protections, because they face far graver threats to life and limb. Gray areas should not be an excuse to dilute rights. The tactical reason to defend the integrity and distinction of refugee status is that, with 245 million people in total on the move across borders, there is no way that the particular needs of those fleeing war and persecution will be recognized if they are grouped together with those who are seeking to improve their economic circumstances. Conflation of the needs of refugees and immigrants is dangerous for the politics of both issues. The rising tide of people forced to leave their homes because of conflict or persecution is one of the most challenging issues facing the world today. But the policy challenge is about more than its size; it is also about its nature. And the global community is struggling to catch up with that new reality. This matters in and of itself. These lives are being blighted by abuse and neglect. But I have learned over the last four years that although humanitarian need is the product of political crisis, unmet humanitarian need is a cause of political instability. In other words, the line of causality does not only run from failed politics to humanitarian crisis; it also runs in the opposite direction, from insufficient or ineffective humanitarian action to political instability. 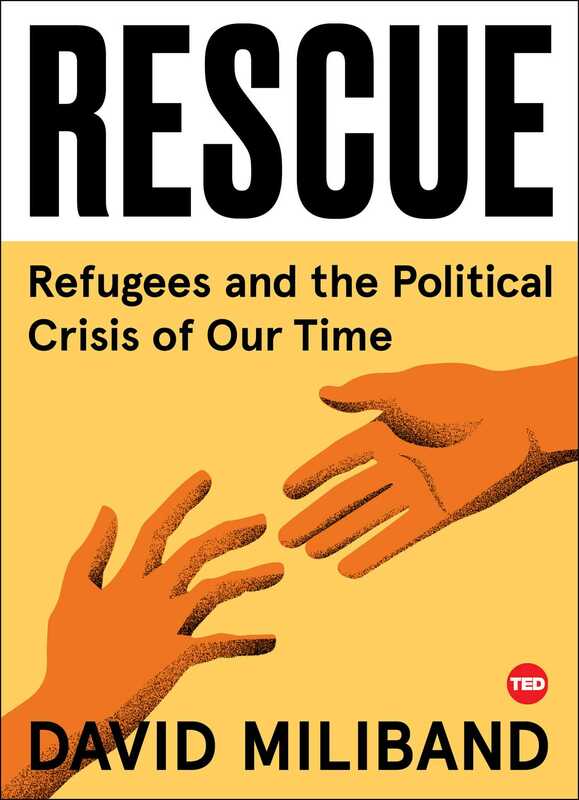 We know from history that when it comes to refugees, politics and policy are never far apart. The most inspiring advances have shaped as well as reflected national and international mood. Leadership really matters. For example, Eleanor Roosevelt, the widow of President Franklin D. Roosevelt, played an instrumental role in the adoption of the UN Universal Declaration of Human Rights in 1948. It included the right to “seek and enjoy” asylum from persecution.32 Maybe Mrs. Roosevelt was reflecting on the dark period of US history during the Second World War. Einstein asked the first lady to raise this “truly grave injustice” with the president, but his appeal had limited effect. Paranoia that refugees would, if granted entry to the United States, turn on their host and spy for its enemies persisted. The annihilation the following year of some 2.7 million Jews—nearly half of all Jewish victims of the Holocaust—could not dispel that prejudice. Nor did the killing in 1942 result—amid economic depression, the battle against the Axis, and strains of popular and political xenophobia—in a US response to the refugees’ plight. Sixty-one percent of Americans did not even want to let 10,000 refugee children enter the United States.34 The US “wall” against refugees would remain largely standing until the beginning of 1944, the year before the Allied victory. The crisis, then, was not just a crisis of policy; it was also a crisis of politics. That is also the case today. It is incumbent on us all to decide what personal responsibility we are willing to take in addressing this refugee crisis. In short, what has it got to do with us?